The war may be over, but former DCS Christopher Foyle's talents are still required. 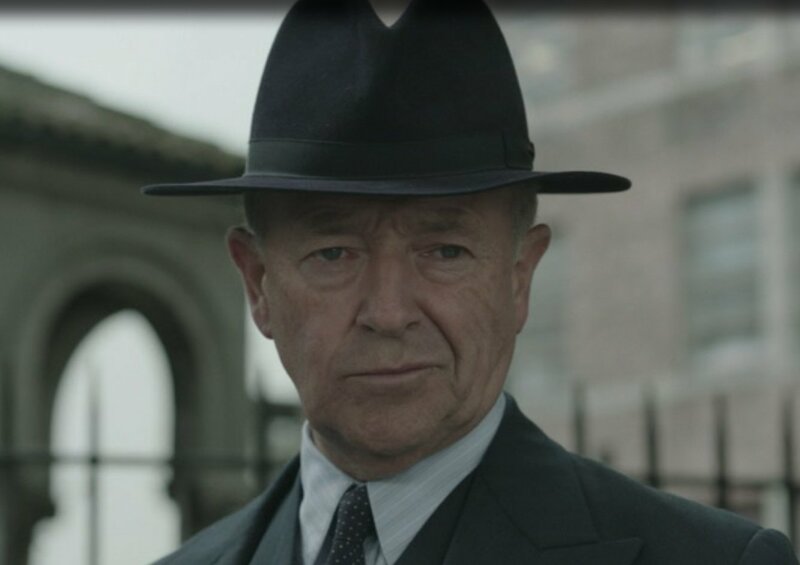 He's retired from the police force, but British Intelligence convinces him to work for them in Foyle's War, Set 7. Michael Kitchen is back playing the investigator and Honeysuckle Weeks is back as his assistant Sam. 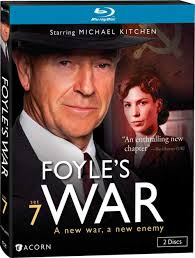 The new series of Foyle's War will be premiering on Masterpiece Mystery on PBS on Sept. 15. Viewers can also stream the new episodes immediately after they're shown on PBS, as well as all 22 previous episodes from Acorn TV. Sign up at Acorn TV now and get your free month of access so you can get caught up on all of the back stories from DCS Foyle! In the first of 3 episodes in Set 7, The Eternity Ring, poor Foyle is basically ambushed as he arrives back in England from an extended trip to America. A figure commands him to follow him to security headquarters. Once there, Foyle is informed that his former assistant, Sam Wainwright, has been seen passing information to a known Soviet spy. As proof, they offer a photo which seems to show Sam handing an envelope to the man. The recently married Sam is now working as a secretary for a nuclear scientist and his wife, Professor and Mrs. Fraser. A worker at the Soviet embassy has recently defected, and some papers he was able to smuggle out seem to indicate the existence of a previously unknown spy ring, known as the Eternity Ring. 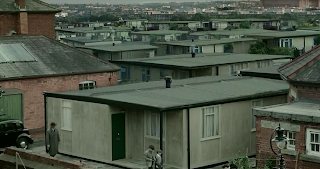 The MI5 agents pressure Foyle into investigating both Sam and the Eternity Ring in an effort to keep their Soviet counterparts in check. Meanwhile, Sam's new husband Adam is in the running for a vacant seat as an MP for the Labour party. In a parallel story, a former police offer who had worked with Foyle, Frank Shaw, also returns to England after being held prisoner by the Japanese during the war. Frank, as was the case with most returning soldiers after the war, discovers that society has changed and he no longer knows where he fits in. His family has learned to get along without him, his former house has been destroyed, and when he attempts to get a job again with the police force, he is told in no uncertain terms that the police force has no need for former army officers in its ranks. Feeling frustrated, Frank lashes out at a totally innocent person. Foyle, of course, in his calm and patient manner, is able to solve the mystery of the Eternity Ring, although in the process, he manages to get Sam fired from her job. Luckily, when he's pressed to continue working for the Intelligence Service, he's able to demand that Sam also be hired as his driver again. The second episode, The Cage, Foyle is called to investigate when a seriously injured man, apparently Russian, shows up at a hospital and dies soon afterwards. The Russian's last words were "ten eye." The next morning, the doctor who treated him dies, too, apparently of a suicide. Foyle's investigations take him to Barton Hall, a highly guarded estate in the country. Foyle is given a restricted tour of the place, but feels there's something not right about what's going on there. Meanwhile, election day is coming up and Sam's husband Adam is out knocking on doors. He comes across a distraught woman, whose daughter Evelyn Greene has disappeared. The police aren't doing anything to find her, so Sam asks Foyle to investigate this as well. Officially, Foyle is now working to recruit new agents into MI5, so he identifies ones who are rejected, but just might be of use to him in some undercover operations. is approached by a man who was forced to sell his farm to the government during the war. He was told he could buy the land back at "current market value" after the war. The land was recently re-appraised, and somehow managed to double in value during the war. Adam investigates what's going on, and Sam helps out by using all the tools at her hands as an insider at the intelligence service. Both Adam, as an MP, and Foyle, working for the Intelligence Service, are confronted by a variety of lies, crimes and even murders committed by agents of the government all in the name of the "greater good." Lots of disillusioned idealists by the end of this episode! 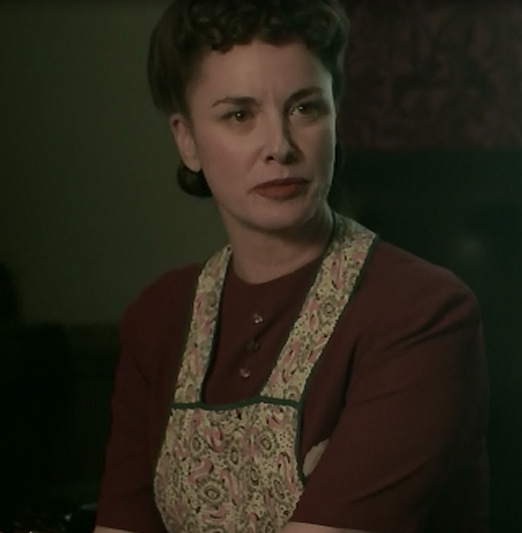 I was surprised to see a nearly unrecognizable Tamzin Outhwaite as the landlady, Mrs. Stevens! of what occurred over the course of the first 6 seasons of the series. Each disc also contains an introduction by the series creator and writer Anthony Horowitz. It's very interesting to hear how he was able to incorporate the issues facing people in Britain after the war (food rationing, housing shortages, problems soldiers encountered on returning home, etc.) into the series. The final disc also contains 4 behind-the-scenes features, covering everything from the origins of the series to the style of the characters to a background on the Sunflower Massacre. There is also a photo gallery from the series.